EAT, DRINK AND be Merry, so goes the festive phrase. Depending on how many folks you’d over for Christmas this year and how much food you cooked for dinner, there may still be enough turkey and stuffing left for sandwiches this evening. Or perhaps a roast potato and cranberry sauce roll. 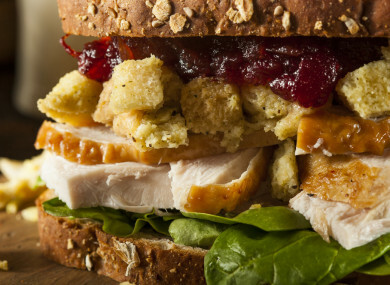 So, we want to know: Are you still eating leftovers? Hell yes, bring on the sandwiches. No, I am never eating again. There's food left, but should I? Email “Poll: Are you still eating leftovers?”. Feedback on “Poll: Are you still eating leftovers?”.